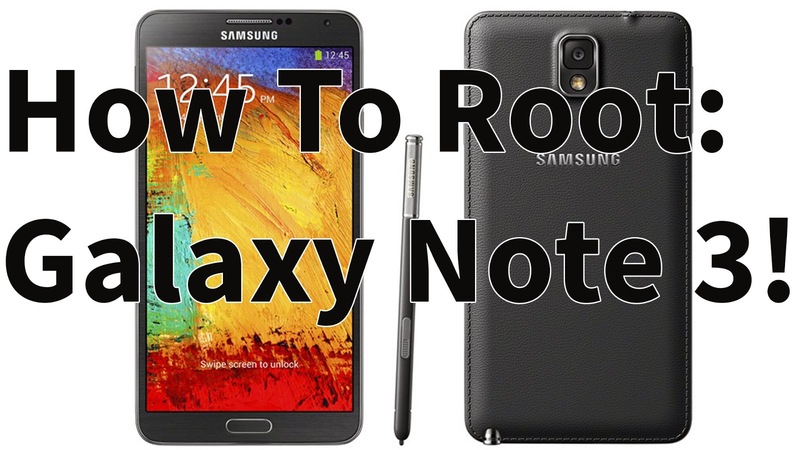 How to Root Galaxy Note 3! ~ AndroidRootz.com | Source for Android Rooting, ROMS, Tricks and More! How to Root Galaxy Note 3! This guide will show you how to root the Galaxy Note 3. This will work for the Galaxy Note 3 SM-N9005, SM-N900 Octa-core, SM-N900T T-Mobile, SM-N900P Sprint, SM-N900W8 Canadian, and SM-N900S Korean. Rooting your Galaxy Note 3 gives you a lot of benefits like removing bloatware, using root apps like Titanium Backup, and even installing custom ROMS to help give you exclusive features and significantly speed up your phone! Use this guide below to root the Galaxy Note 3! 1. Enter your phone into "Download Mode". Power off your phone then press the volume down, home button and power button at the same time. When the phone vibrates ONLY let go of the power button. 2. You should now see "Warning". Press the volume up button to continue. 3. Plug in your phone via microUSB and the other end to your Windows computer. 4. Download Samsung USB drivers, SuperSU, and Odin. 5. Install Samsung USB drivers. 6. Download ClockworkMod or TWRP recovery using the link below.